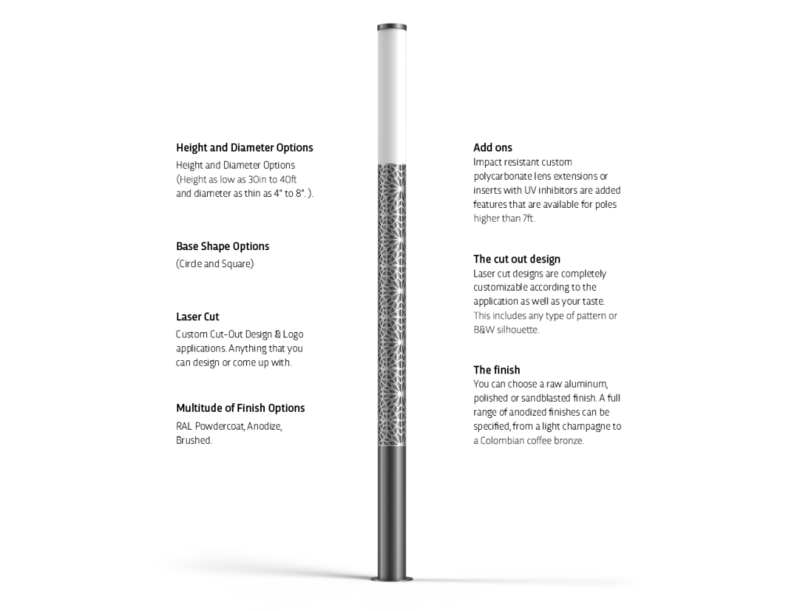 EVER WANTED TO HAVE YOUR OWN CUSTOM DESIGNED LIGHT POLE? 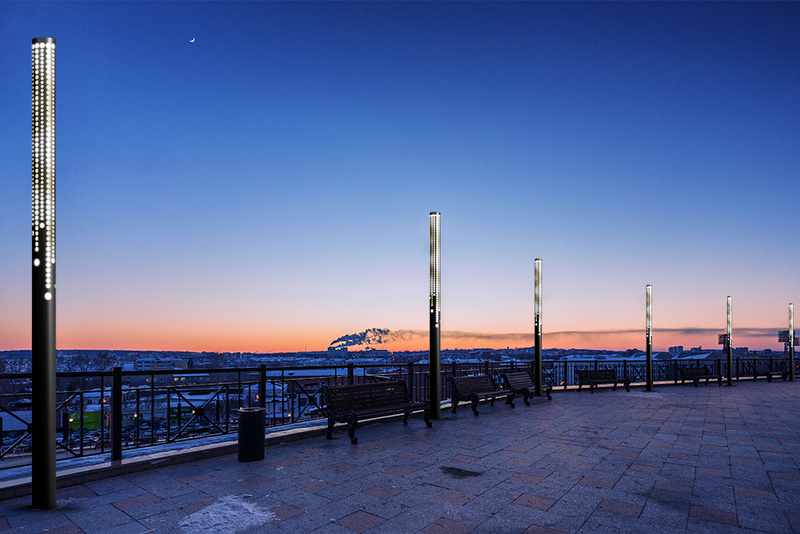 Pier is a smart light pole for the generation enamored with design, distinctiveness, technology, and connectivity. Pier is no mortal pole. 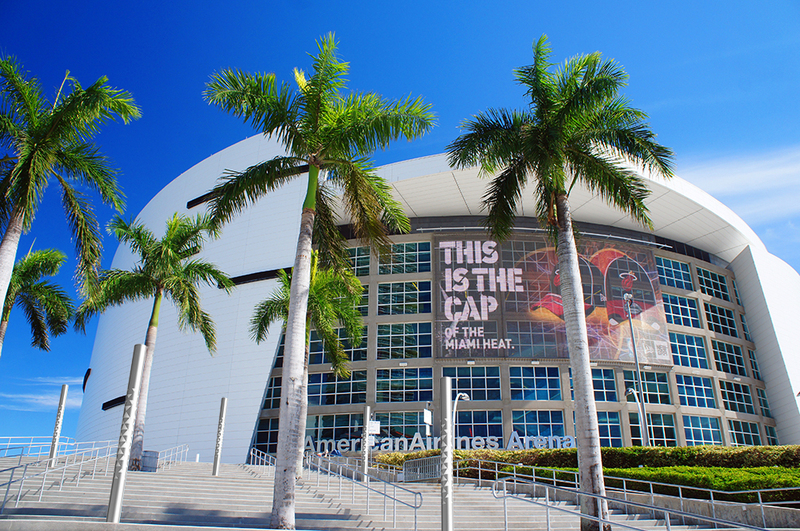 What sets it apart is that it’s completely customizable. After many years of advanced custom machinery development, today the Pier is made in a state-of-the-art, fully customized, and only one in the world specialty pole production machinery. 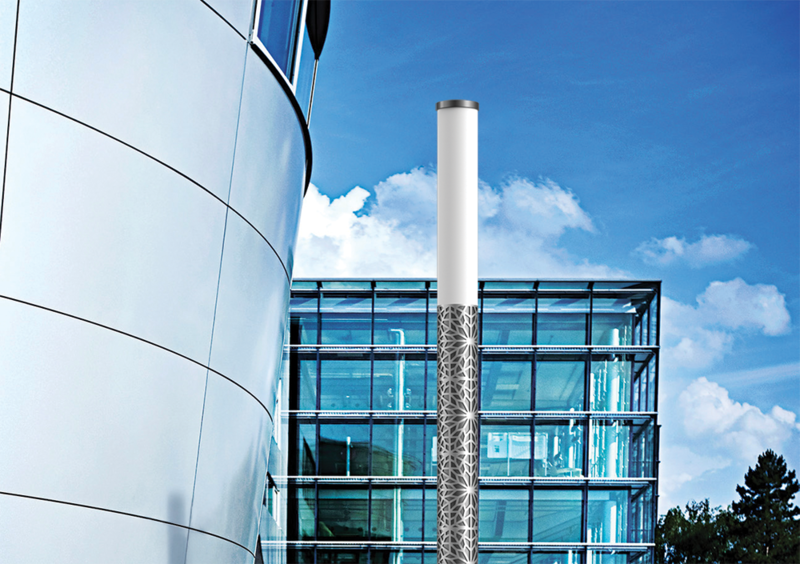 Take full control when designing your light pole. First, choose the shape (round or square), the diameter, and the overall length. 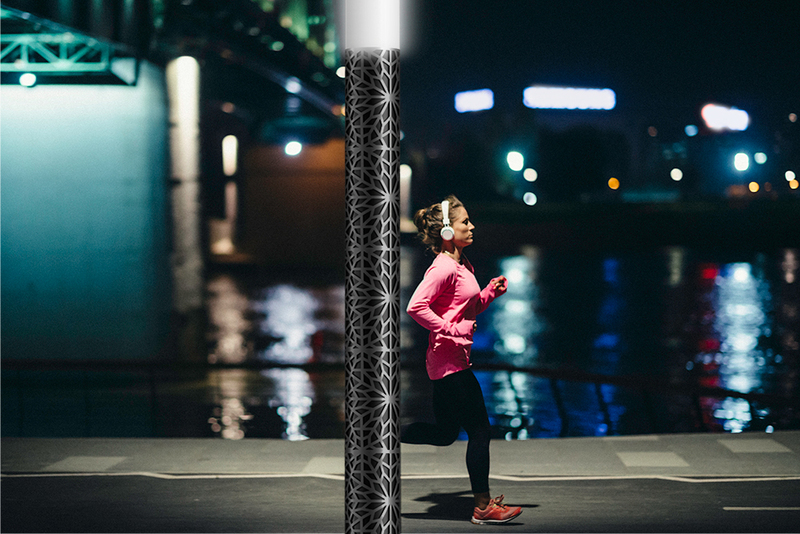 Then, start personalizing your pole with your desired patterns which can be executed via CNC or laser cutting directly onto the pole’s body. 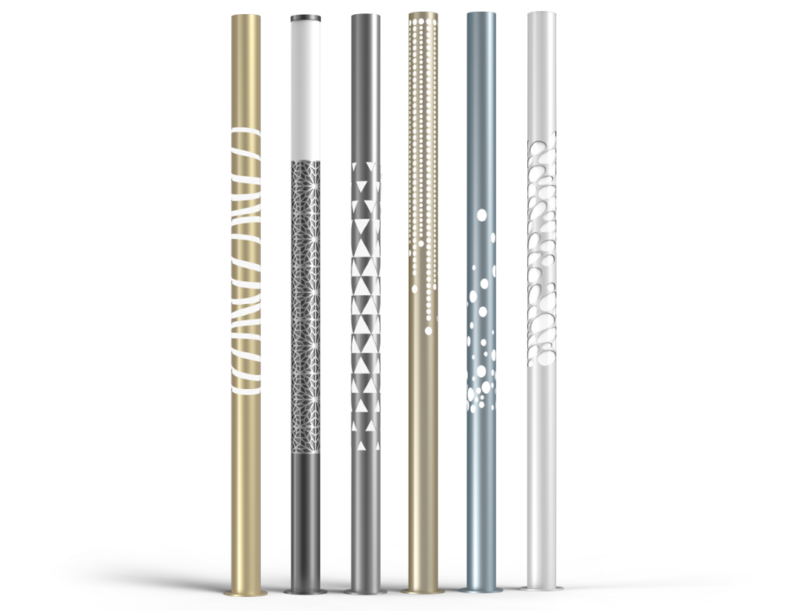 Finally, choose the finish which can be anywhere from anodized finishes to any RAL color imaginable. MORE PERSONAL. MORE DYNAMIC. MORE THAN JUST A LIGHT POLE. With tons of tech and interactive features available, Pier will add a great functional design element to any environment. DESIGN BEAUTIFUL ACCENT LIGHTING FOR ANY SETTING. 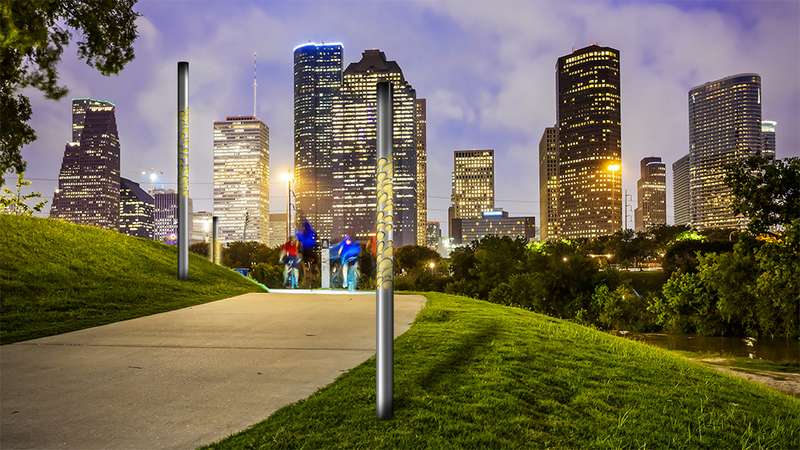 Whether you are working on a boardwalk, a park, urban streets, corporate offices, residential projects, or any other setting, you can now enhance them with customized Pier poles. 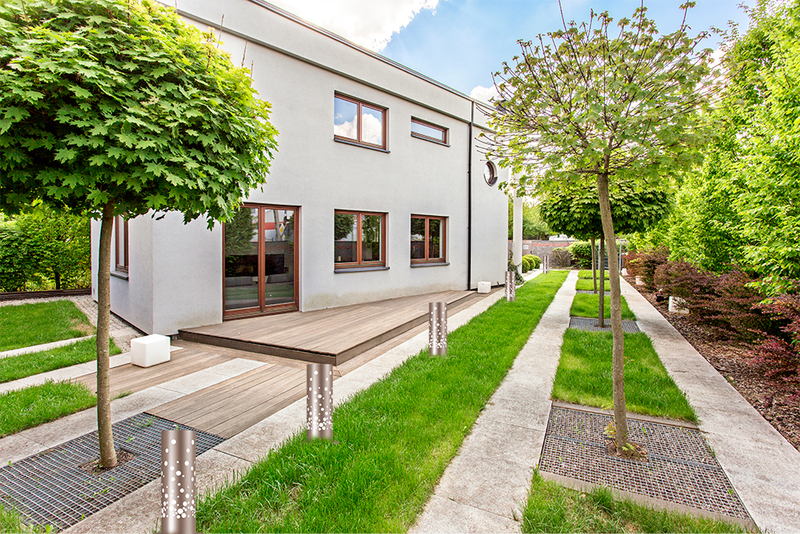 Use our poles and bollard to amaze the world with your creative imagination. MAKING LIGHTING SMART, PERSONALIZED, & MULTI-FUNCTIONAL IS THE UPCOMING FRONTIER.